The mission of G.O.D. Intl’s Public Health sphere is to address public health issues and provide opportunities for health care workers to learn specialized skills to address them among impoverished communities. What started in 2004 as introductory primary health care courses teaching basic skills for the developing world environment, has blossomed into a maternal health department, an infectious disease unit, a children’s health training program, and most recently, a public health education center. Robert Munoz, MPH, G.O.D. 's Director of Public Health, teaches a Public Health course at the Institute for G.O.D. G.O.D. Intl’s Nashville headquarters newly renovated one of its classrooms into the now Public Health Education Center (PHEC). The PHEC will function as a classroom for teaching our maternal and public health courses, as well as provide the appropriate space for training in each field. It is equipped with a maternal and public health library, an infectious disease lab, full classroom, and resources for skills training in both fields. Such skills include childbirth education, doula certification, laboratory diagnosis of malaria and other common tropical diseases, CPR and first aid training, neonatal resuscitation training, public health skills courses, children’s health & development training, how to handle outbreaks of infectious disease, phlebotomy, and basic triage (just to name a few). As public health workers, we are highly driven by the faces and stories of those that have physically and mentally suffered loss of life through dehumanizing care. AIDS victims in Jamaican hospices with no one to visit them, women laboring in the rural village of East Africa with no birth attendant to help, Indian children with multiple infections leaving them under-developed in the rural villages--their stories are countless. The conventional routes of health education don’t ready our students to meet these kind of needs. We have to excel in providing health education that does ready them, giving them life-saving skills that always keep the love of God and love of neighbor as the central focus, compelling us to provide humanizing care, every time. The PHEC is a training ground for our students to receive that kind of education. 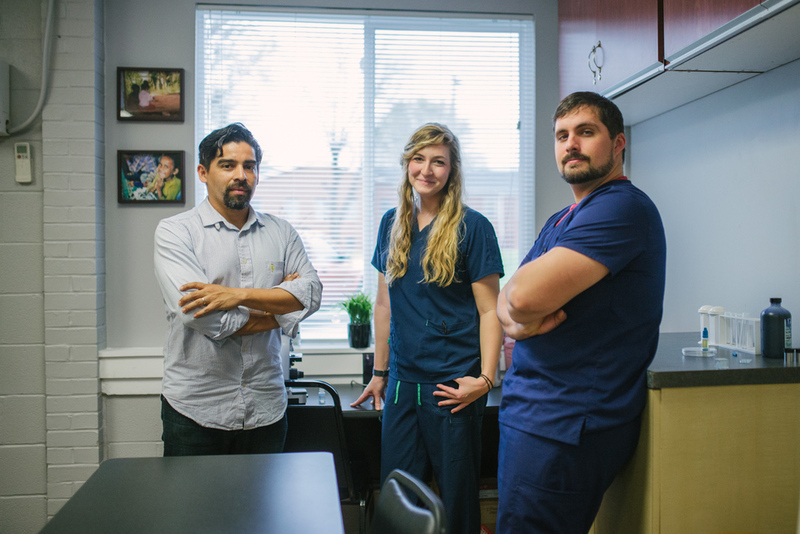 It is a place for students who hear the call of God to serve the most vulnerable with holistic care after the model of Jesus. We are excited and blessed by this new center, and look forward to teaching and learning alongside the faces of those who fill it, the response to those faces who have known only suffering. Dreams are coming true, and we thank God for it. If reading on a mobile device, turn phone sideways to view captions below. Heather Munoz, RN and Certified Professional Midwife, teaches students in our Maternal Health program about the process of cervical dilation. Heather Munoz shows CBE students how to measure fundal height on a live pregnant model. Many of our students go on to become doulas, childbirth educators and midwives. Public Health students learn how to conduct epidemiology research studies for addressing current major health issues like obesity and tobacco abuse. Malaria is still a major killer around the world and by teaching our development workers the skills for early diagnosis we can reduce morbidity and mortality rates for the communities we serve in endemic areas. 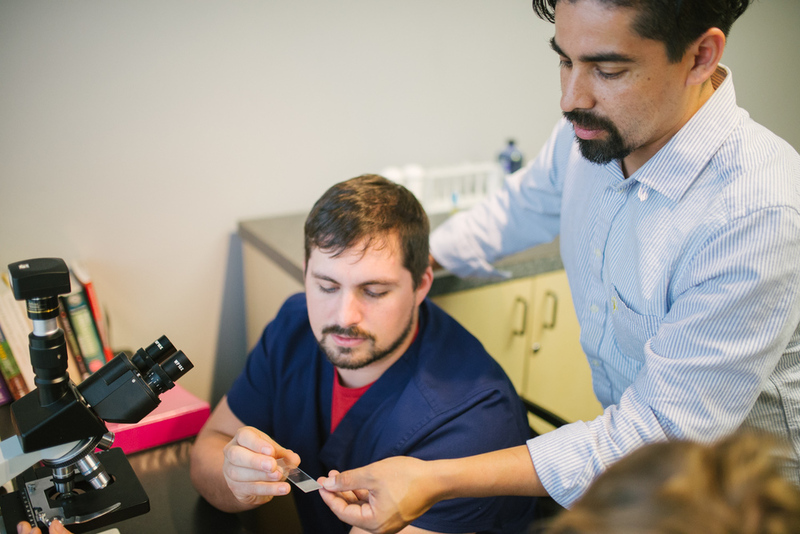 Hands on clinical patient care and lab diagnosis of infectious disease through microscopy are excellent ways of equipping development workers for reducing the burden of disease in a third world environment. Jordan Miller and Nick Moore, pictured here, are both members of our East Africa regional team and are gaining experience for full-time development work in the medical field. Tara Garner teaches students about the art of fetal palpation to help determine baby's position in the womb. 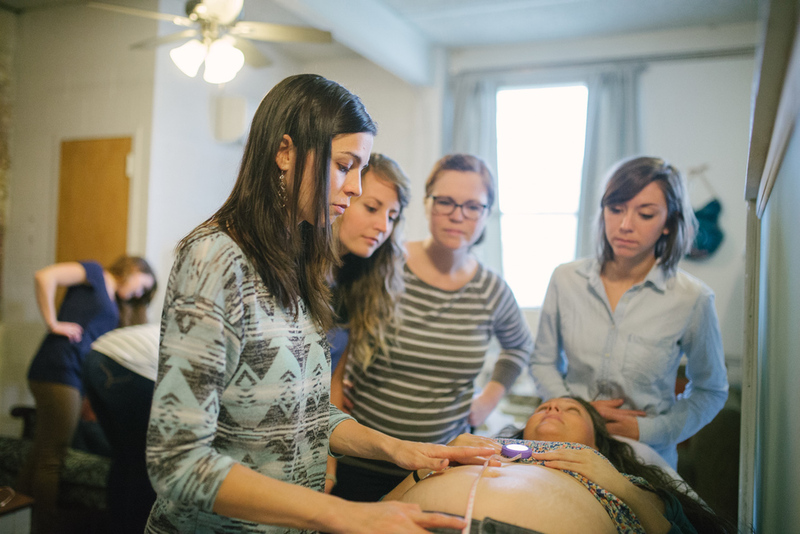 The students practice on state-of-the-art birth models (in addition to real live pregnant mamas) as they are introduced to these valuable assessment skills.